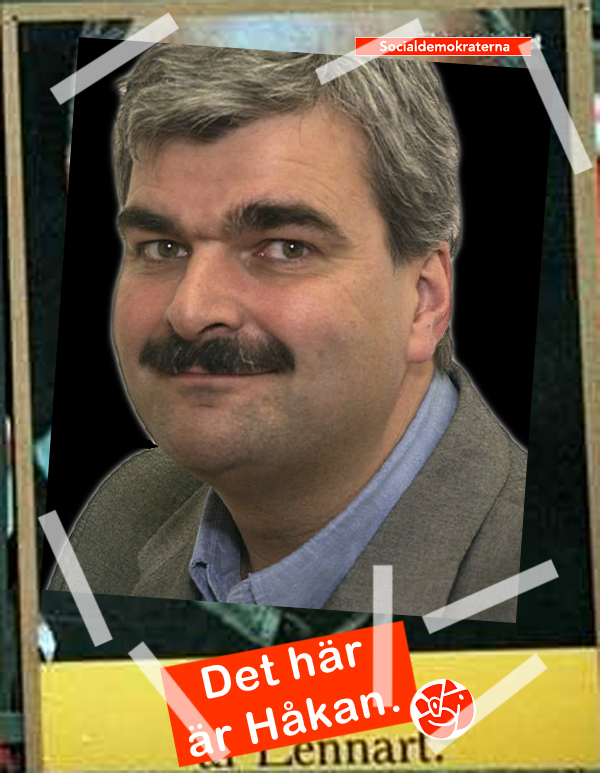 Ett förslag till en valaffisch för Socialdemokraterna inför nästa val. For my Swedish visitors. A suggestion for an election poster for the Social Democrats for the next election. The last time a Swedish political party was led by someone as little known was in 1998 when the Centre Party went to the polls led by Lennart Daléus. To overcome popular ignorance of their new leader, Centre chose this to the right as their principal election poster. The Swedish Social Democratic Party on the English Wikipedia. I note the more exensive entry for Håkan J contra Lennart D and put it down to Håkan Juholt being in the news now when Wikipedia is fully fledged, but Lennart Daléus having had his day in the sun before Wikipedia was hatched in 2001.